BeeGFS combines multiple storage servers to provide a highly scalable shared network file system with striped file contents. This way, it allows users to overcome the tight performance limitations of single servers, single network interconnects, a limited number of hard drives etc. In such a system, high throughput demands of large numbers of clients can easily be satisfied, but even a single client can benefit from the aggregated performance of all the storage servers in the system. This is made possible by a separation of metadata and file contents. While storage servers are responsible for storing stripes of the actual contents of user files, metadata servers do the coordination of file placement and striping among the storage servers and inform the clients about certain file details when necessary. When accessing file contents, BeeGFS clients directly contact the storage servers to perform file I/O and communicate with multiple servers simultaneously, giving your applications truly parallel access to the file data. To keep the metadata access latency (e.g. directory lookups) at a minimum, BeeGFS allows you to also distribute the metadata across multiple servers, so that each of the metadata servers stores a part of the global file system namespace. The BeeGFS client service provides a normal mountpoint, so that your applications can directly access the BeeGFS storage system and do not need to be modified to take advantage of BeeGFS. The following picture shows the system architecture and roles within an BeeGFS instance. In the picture above, all services are running on different hosts to show which services generally exist in a BeeGFS storage cluster. However, it is also possible to run any combination of BeeGFS services (client and server components) together on the same machines. 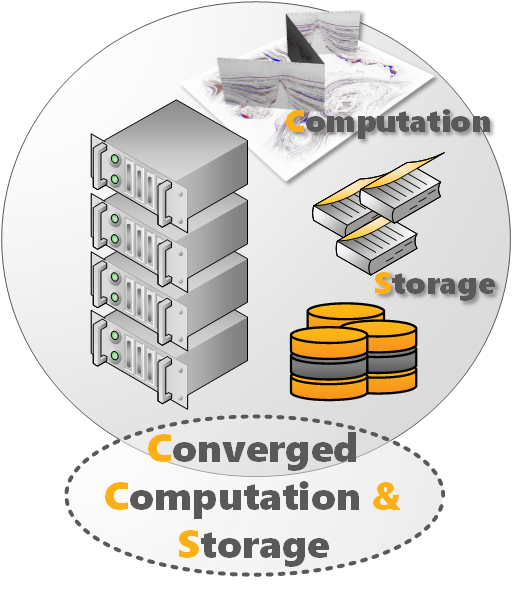 When BeeGFS is used completely without separate dedicated storage servers, we call this a "converged setup", as shown in the picture below. 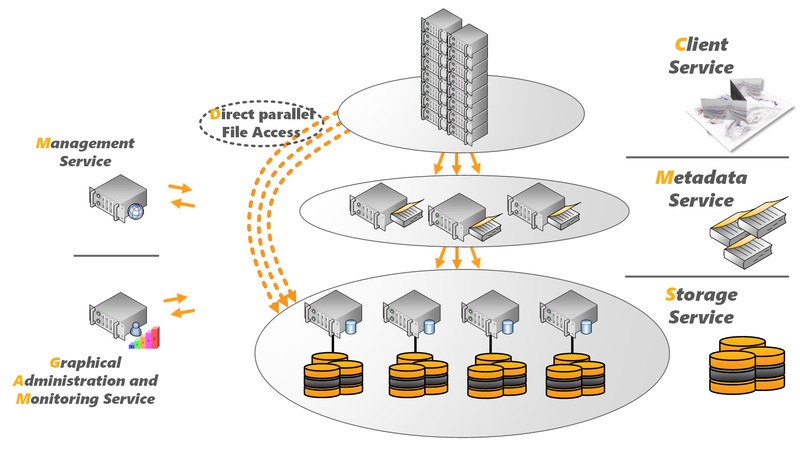 Besides the three basic roles in BeeGFS (clients, metadata service, storage service) there are two additional system services that are part of BeeGFS: The first one is the management service, which serves as registry and watchdog for clients and servers, but is not directly involved in file operations and thus not critical for system performance. The second one is the optional administration and monitoring service (Admon), which provides a graphical frontend for installation and system status monitoring.